To celebrate Star Wars day on May 4th be with you. EA has announced a number of new bonuses available to players of its Star Wars Battlefront, Star Wars: The Old Republic and Star Wars: Galaxy of Heroes games. The next Star Wars Battlefront expansion pack which takes the form of the Star Wars Battlefront Bespin DLC, will be available to purchase during June 2016 and EA has also announced some special goodies for players that will be made available on May 4th. – Log-In Reward – For one day only, players who log into Star Wars Battlefront will receive 4,444 credits to use on blasters, Star Cards, or the latest Hutt Contract. – New Hutt Contract – Jabba the Hutt has a new challenge waiting for all Star Wars Battlefront players on May the 4th! Spend 3500 to 8000 credits and complete bounties to unlock the powerful Bacta Bomb Star Card which provides a health boost to you and your allies. 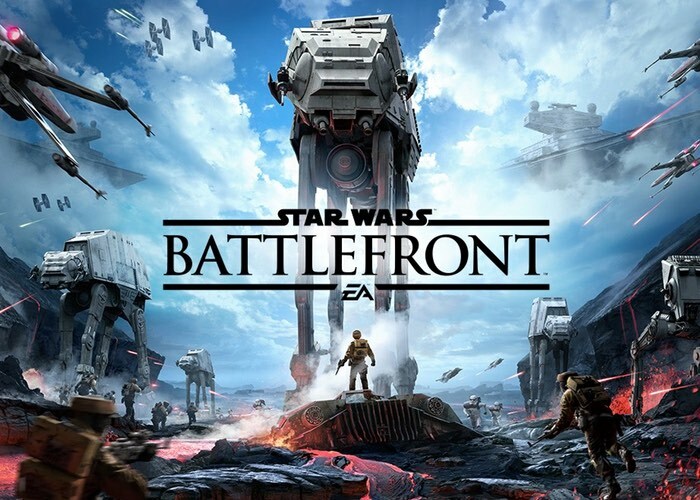 – Origin Free Trial – If you haven’t given Star Wars Battlefront a try, the Origin team is hooking you up! Starting May 4 at 11 a.m. PT, players can visit Origin.com to try the game for four hours for free and experience the different maps, game modes and missions the base game has to offer. This does not include Outer Rim or future expansion content. For more information on the new May 4th Star Wars treats jump over to the EA website for details via the link below.